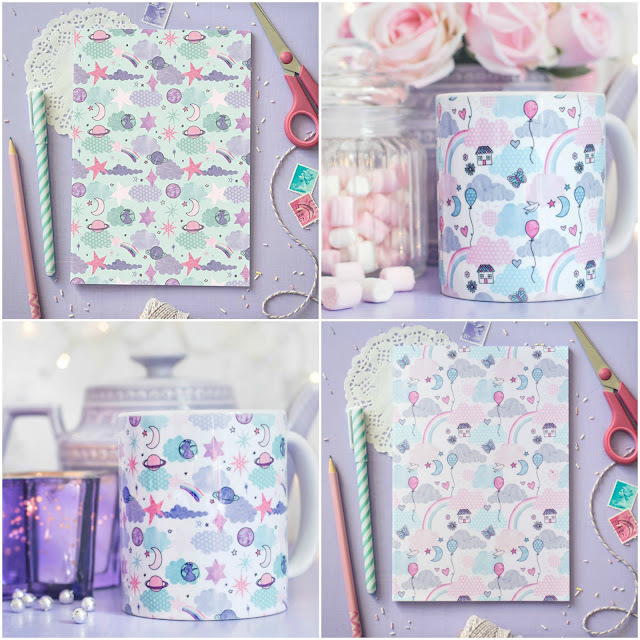 Enter this giveaway for a chance to win Jilly Jilly Space and Pastel mugs and notebooks. Good luck! In bed at night. Everyone is asleep, it’s nice and quiet, no distractions and I find it easier to immerse into the story. I like to take a break about 2 oclock and have a tea and read my book, relaxes me. In the mornings on the weekends. I like to go sit outside, sip some tea, listen to nature and get lost in a story. "What's your favorite reading time and why?" Curled up at bedtime, for a quiet spot of reading! In the evening is the only time I have to read. Reading? Anytime? With a hot tea, Kitty curled up beside me, Unplugged from all electronics, warm socks, and cosy lap quilt...... YES Please!!!! I really want to have these. It's so cute. About 9 pm when everyone else is asleep. Love reading in silence and at the comfort of my own bed. I love to read on the weekends in the morning with my cup of tea. Oh, I can be found reading at anytime of the day when there is a spare moment! Bedtime because it helps me to relax and unwind. I read in bed just before I'm ready to sleep, as it always helps me to relax. I don’t have a set time. Just whenever I’m in the mood. Usually a comfy chair or my bed. I love reading at night as it relaxes me. I like reading in the evening, beacuse is the only time when I have time for me. I love reading at night, when I was younger I used to read for the entire night. I like reading on my breaks at work to de-stress and have some me time. Different times for different things. If I'm reading nonfiction, I like to read during the day so I can take notes and whatnot (I always take notes about everything and anything). I typically like to read fiction before I go to sleep. In the evening because it helps me wind down and relax. I will read at any time of day or night, but the best time is late at night after everyone else in my house has gone to sleep. any time ... in bed!!!! My favourite reading is when I first wake up in the morning because it is a relaxing start to the day. in bed at night because it's still and I can spend my time with my books! Snuggled in bed at night with a hot drink. Same routine since childhood. Just before going to sleep has been my routine since childhood. I like to read before bedtime, when everything is quiet. In the evening, when all chores are done and I get to relax. I read all the time but I really enjoy reading in the evening. I like to read around mid afternoon time. I love to read in the bath, it's so relaxing and I can immerse myself in the story. Just before I go to sleep! Makes me so relaxed. My favorite time to read is before bed. In the evenings as the kids have gone to bed & I can just relax in the bath & focus on my book! Sitting in the garden with a cup of tea at the weekend. In the garden in the afternoon, because it's so relaxing and calming. Night and evening time of the day. Those are the times I'm most relaxed! When everyone is in bed or at work and the house is quiet apart from the dog snoring in his bed. Perfect bliss. Bedtime .Relax and good book. at night because everybody else is in bed and not bugging me.